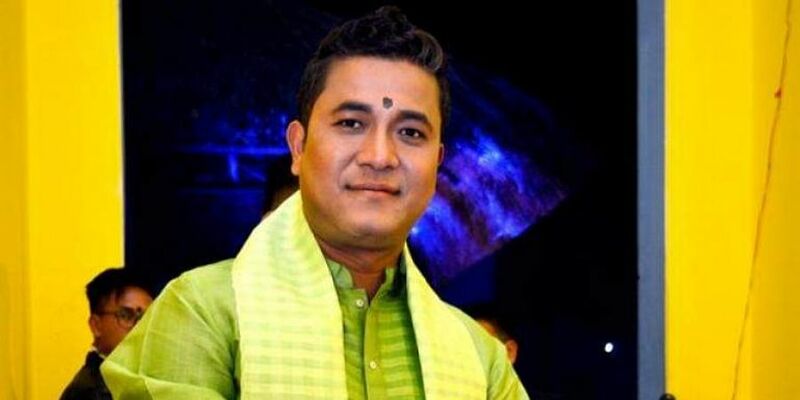 Journalist Kishorechandra Wangkhem was arrested under the National Security Act (NSA) recently for his "offensive" remarks against BJP, RSS and Manipur's BJP-led coalition government. GUWAHATI: The Imphal Times, an English newspaper in Manipur, kept its editorial page blank on Saturday to protest the arrest of journalist Kishorechandra Wangkhem. He was arrested under the National Security Act (NSA) recently for his "offensive" remarks against BJP, RSS and Manipur's BJP-led coalition government. Wangkhem had uploaded a video on his Facebook page where he used expletives several times to go hammer and tongs at BJP-RSS and the state's BJP-led government. The video has gone viral since. Wangkhem reportedly described Chief Minister N Biren Singh as a "puppet of Modi and Hindutva". He was miffed with the state government for organizing a function recently to mark the birth anniversary of Lakshmibai, the Rani of Jhansi. He said she had nothing to do with Manipur's freedom movement. "The words, terms and gesture used by the accused in the video cannot be termed as seditious; it is a mere expression of opinion against the public conduct of a public figure in a street language. In what manner he is likely to cause disturbance to society?" The Imphal Free Press quoted Wangkhem's advocate Chongtham Victor as saying. The CM told TNIE Wangkhem was not a journalist. "He is no longer a journalist. The Information Service TV Network, where he worked, sacked him on November 19. He was arrested for such behaviour even in October. At that time, he was released after a journalists' association had approached me and appealed for his release. The association said he would come to me and apologise but he never showed up," the CM said. He added: "In the video, he criticized me for saying something which I never said. He has done a wrong and it is evident from nobody coming out to protest his arrest".